The terms Data Leak Prevention (DLP) and Container are beginning to dominate the mobile management conversation. Over the past few years great strides have been made in providing the tools and solutions that offer management and security for mobile devices; both for devices the enterprise owns and those that employees own. While these solutions meet the need to secure the device, they have been lacking in some of the more sophisticated security aspects that are commonplace in laptop and distributed network deployments. Specifically lacking are the comprehensive DLP controls common in laptop management solutions. 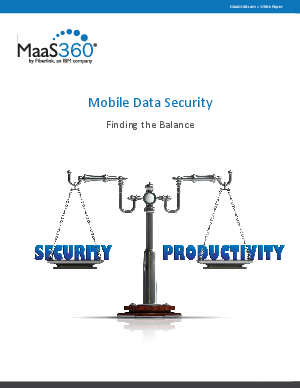 Prudence dictates that you look for ways to supplement your mobile device management (MDM) solution with additional, more robust security controls to help secure and protect sensitive data from being distributed to unauthorized third parties, either inadvertently or maliciously.